Local photographers Brideen & Deci are long-term customers of Kaizen print. So when came to printing their table plan for their recent wedding, they instantly thought Kaizen. Printed on a 160 GSM Matt coated paper at A2 size, the table plan featured a beautiful Photo of the bridegroom. We print hundreds of table plans each and every year for wedding all across Belfast and are proud to have thousands of happy customers to date. While we did not design this table plan in particular, there are really easy ways to insure the quickest and cheapest table plan printing possible. Firstly, use Excel to create a list of all your tables in different rows and then type each and every guests name in order in the row below. Please ensure capitalisation and spelling our checked before sending to Kaizen before printing as this we be something we would not able to check. If you require a table plan printed at a larger size this is absolutely no problem whatsoever. 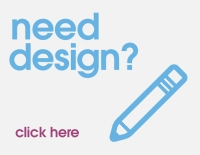 Please just send us a high enough resolution Photo or instruction on the design you require and we will make our design team aware of this. The lead time for printing your table plan is generally no more than 24 hours. However if you're in a hurry please do contact us on 028 9002 2474 as all last minute requests can generally be accommodated. If you would like to mount your table plan on to foamex so that it is free standing, this again is absolutely no problem however we would need pretty 24 to 48 hours to complete the job. All posters are printed on our HP large format printer. This can print posters up to A0 in size. For larger posters we use our Roland 640 printer. This can print up to 1.3 m in height by any length. But let's not get carried away here, you will never need it table plan at that size.